Felting fiber is probably one of the most ancient of techniques used to make cloth from animal fibers. It is likely that our most ancient of ancestors unwittingly created felt when they wore animal pelts close to their bodies—their sweat, movement, and heat creating the environment needed to permanently fuse the fibers into a warm nonwoven cloth. Making felt has evolved into a fun, creative process—quick and easy, too. All you need is a bit of wool, warm water, wool-safe soap, and some towels, and you’re ready to start making cloth in one of the fastest, free form ways you can imagine. Felting occurs when wool is immersed in warm and soap and agitation are applied. The warm water opens up the scales on the individual wool fibers, the soap and agitation help move the fibers closer together, and as the fiber cools (or is put in cold water) the scales and the wool fibers become permanently interlocked. Discover what a fun and creative process felting fiber is with a bit of wool, warm water, wool-safe soap, and some towels. 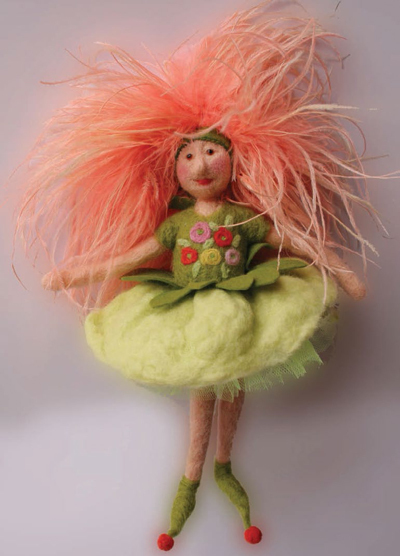 You’ll be ready to start making felt in one of the fastest, free-form ways you can imagine. 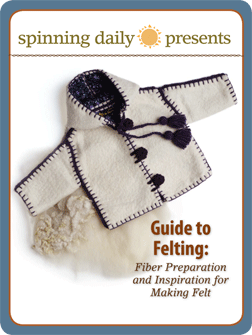 For our latest free eBook, Guide to Felting: Fiber Preparation and Inspiration for Making Felt, we compiled articles from past issues of Spin-Off that are sure get you experimenting with felt. The book includes, the basics of felt (what is felting vs. fulling, what the best fiber preparations for felt are, and what fibers work best) along with great project to try different felting techniques. What’s Inside Guide to Felting Fiber and Yarn? Robin Russo wasn’t inspired to start felting until she saw the amazing work of Bethe Beede, and then, noting that her closets were overflowing with leftover fleeces from various spinning projects, she suddenly could see the possibilities in all of the leftovers. Learn techniques and methods for felting various types of wool and be inspired by Robin’s experience in exploring the creative possibilities of abundant fleeces. This is a great project for those new to spinning to learn some of the basics of how to work with wool. 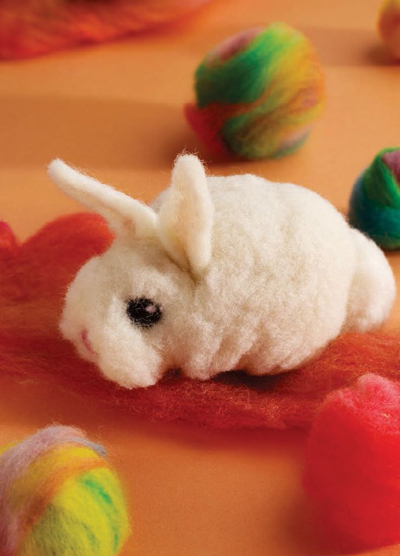 After completing this bunny, you will have a working knowledge of the staple length of wool as well as drafting and wet-felting techniques for felting fiber. 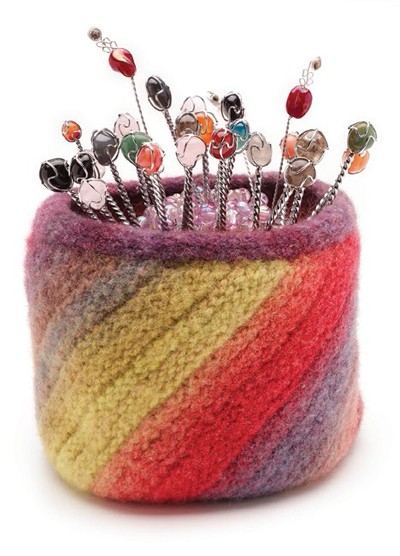 also great for holding knitting projects; spinners can attach a bowl to a stick and use it as a distaff. Felting a knitted piece is easier if the yarns are spun with a lot of loft, so Ronnie Cox uses a long draw spinning technique with little twist. She also likes to use wools like Merino and Targee that take dye and felt well. 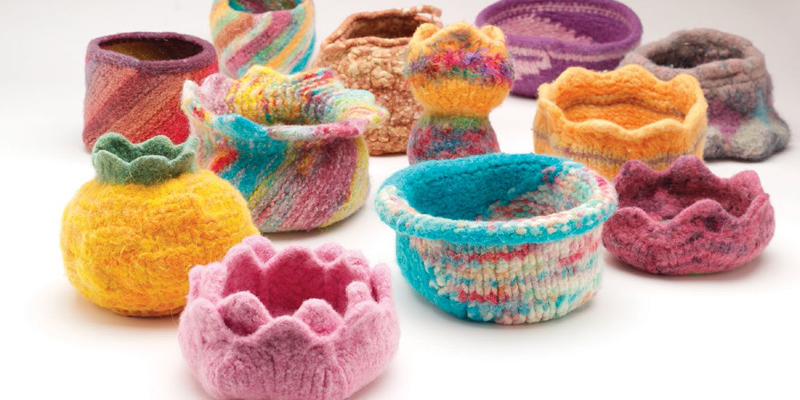 Learn how to make felted yarn in your washing machine as well as methods for preparing, plying, and dyeing your yarn to create a woven texture in these fun, colorful baskets. Jane designed this scarf for the Weave-a-Scarf-in-a-Day workshop she taught at the the National Needlework Association conference in Long Beach, CA, in January 2008. 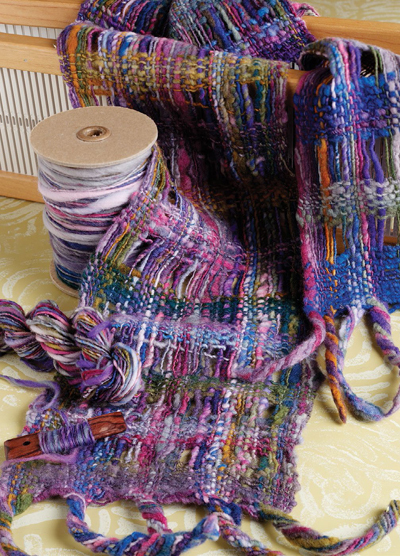 This project is easy for beginners, but has appeal to more seasoned weavers as well. The basic idea: spaced warps and wefts are woven in an open weave to create a grid. The scarf is then felted in the washing machine. Jane loves the way felting makes a fabric that is interesting and never the same from one end of the scarf to the other. Believe it or not, she designed, warped, and wove this scarf in an evening—and threw it into the wash as she went to bed. To needlefelt is to sculpt with wool. Your tools are sharp, barbed needles that permanently interlock the wool fibers each time you push them through the surface of the wool. Laura Burch demonstrates the art of the technique with a simple project that’s fun for kids and adults alike. Fiber preparation is key to producing good felt and this guide uncovers the three most common types of preparations available to those working with wool. Deepen your understanding of how fiber felts, different techniques for making fabric from wool, and how the type of wool affects the final appearance and durability of the felted project. 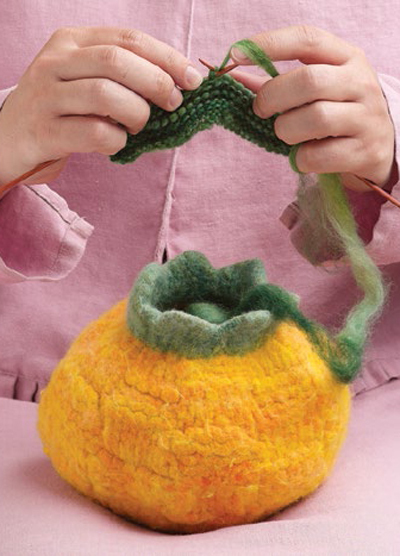 Download the book Guide to Felting: Fiber Preparation and Inspiration for Making Felt today and discover the magic of making felt yourself.